Running an interior design company is no easy feat. To start, you have to contend with everyone in the industry that’s trying to reach your same target audience. Not to mention, you’ll want to create a website that stands out from the rest of the industry leaders so potential customers know that you’re the company to go with. 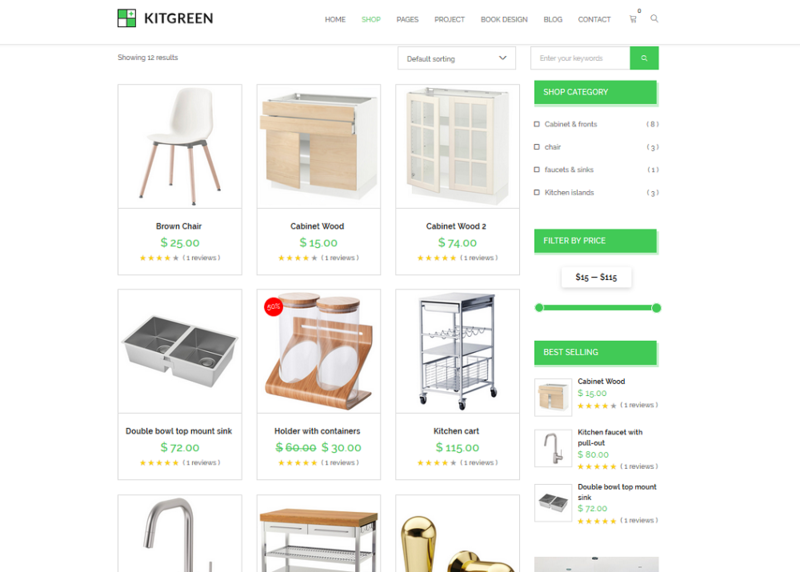 If you’re looking for a classy, modern-looking, interior design theme, that has a kitchen-centric focus, check out KitGreen right now. It’s packed with the features you need to run a successful business, has a professional feel to it, but also allows your creative side to chine through so people can see what you have to offer when it comes to designing their kitchen space. 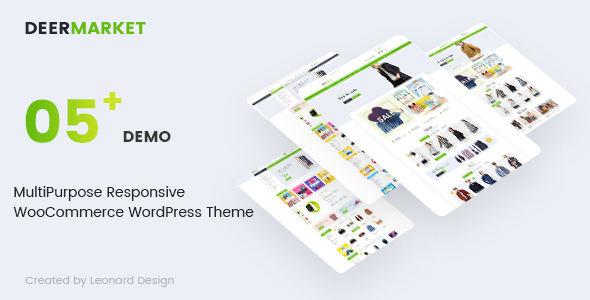 Built on the powerful, yet lightweight Codestar Framework, KitGreen comes ready to perform at blazing speeds while maintaining a seamless user experience for anyone that clicks on your website. 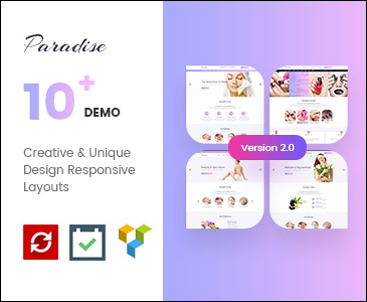 It’s also built on Twitter Bootstrap, meaning any range of shortcodes that can be used with the pre-packaged Visual Composer page builder plugin can easily be used to extend the design and functionality of your interior design website. 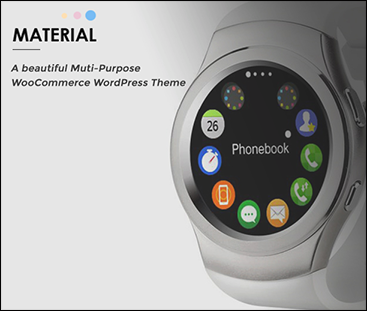 In addition, KitGreen comes with theme support, which can be accessed in the support forum. Here, you can receive tech support, help with bugs or issues, and feature help from a dedicated support team within 24 hours on weekdays. 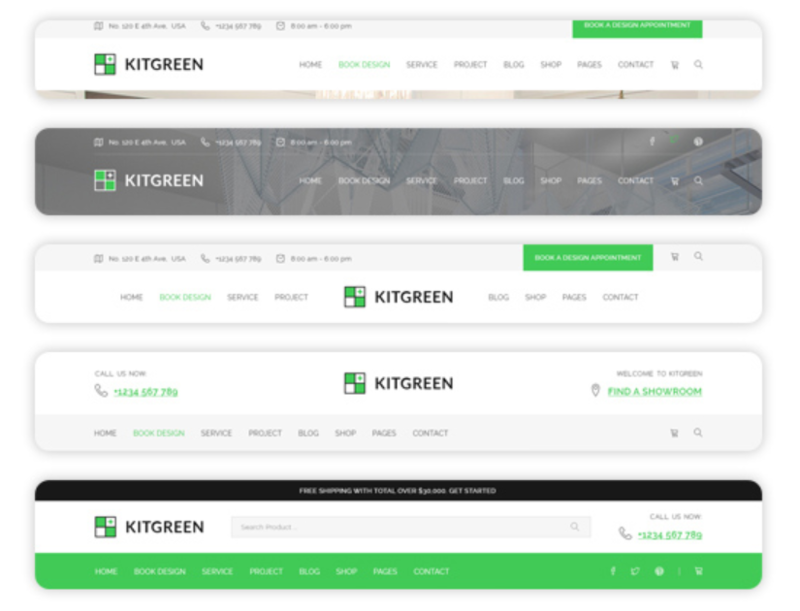 Not to mention, if you need help setting up KitGreen on your website, the team behind the theme will assist with your theme installation and setup for free, saving you time and headaches. 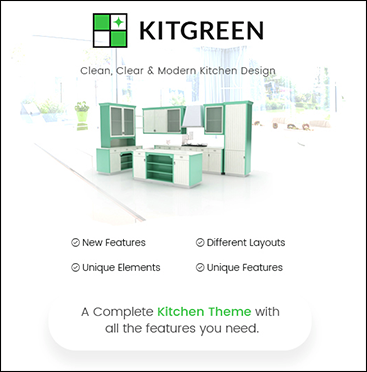 Now, let’s take a look at the features KitGreen has for your interior design and kitchen website. 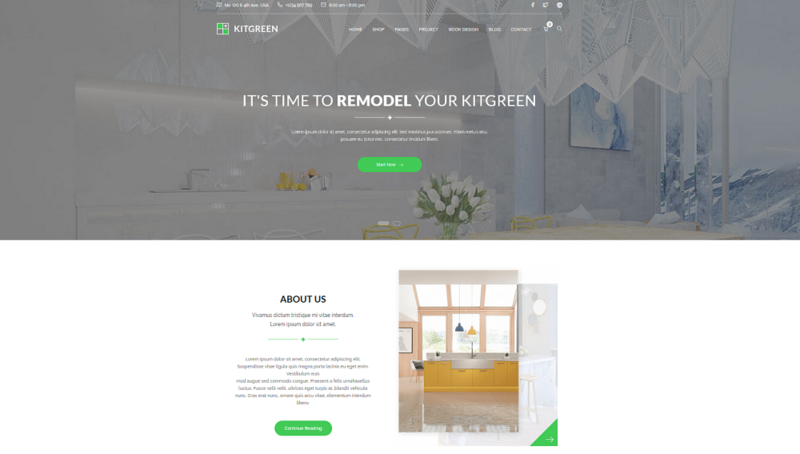 In hopes of helping you create a standout interior design website, KitGreen comes with 5 unique homepage designs ready to give you all the features you need to promote your business, inspire new customers, and showcase your best work. As you can see, there are plenty of features included so you can grow your business, expand your reach, and retain more customers than ever before. Not to mention, the light color schemes, use of extra whitespace, and inclusion of stunning imagery throughout each homepage maintains the airy feel every kitchen should have. Giving customers a way to book an appointment with you is the key to getting more booked jobs. 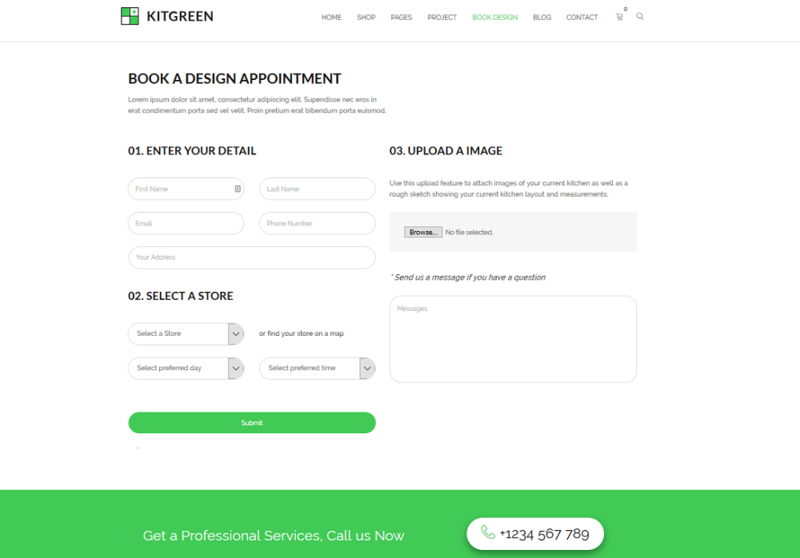 Whether it be a free consultation, or a full on project hire, KitGreen gives you the tools to create a Book a Design Appointment page that will make hiring you easy. In addition, include a clear contact information section for those that prefer to talk to someone in person to set up their design appointment. And lastly, make sure to create a multi-column footer section complete with company information, site navigation links to encourage further site exploration, links to your latest blog posts, more company contact information, and even a newsletter subscribe box to boost your email marketing efforts. 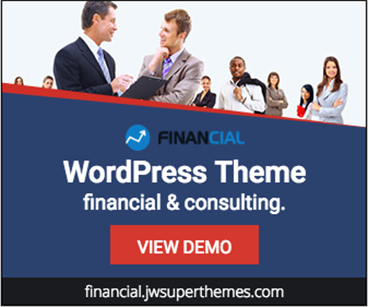 The first thing people will see when they click on your website is your header section. That’s why branding it to meet your overall branding desires is crucial to leaving lasting first impression. Upload a custom company logo, create a MegaMenu navigation bar for easy site exploration, include company contact information, add a search bar, and even include social share icons so people can like or follow you when they decide they enjoy what you have to offer. You can also include a link for customers to find a nearby showroom and a call to action button if they are ready to book an appointment with you right away. 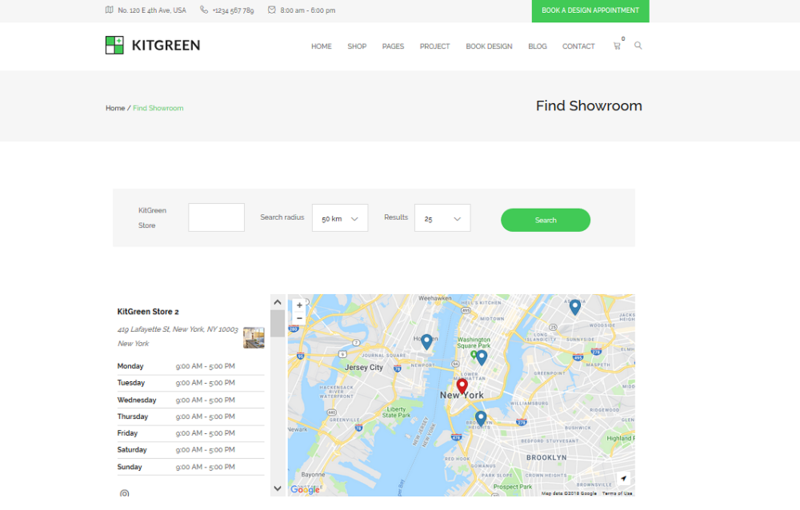 The showroom option KitGreen has is a great way to stand out amongst even the toughest of competition. Give customers a chance to find the nearest showroom to their location using the radius filter, so they can come see what you have to offer in person. In addition, provide an address to the showroom they choose, reveal your business hours, and even show them on a map where you’re located so finding you is never an issue. Showing your customers what you have for sale is a perfect for generating more revenue and retaining more customers. 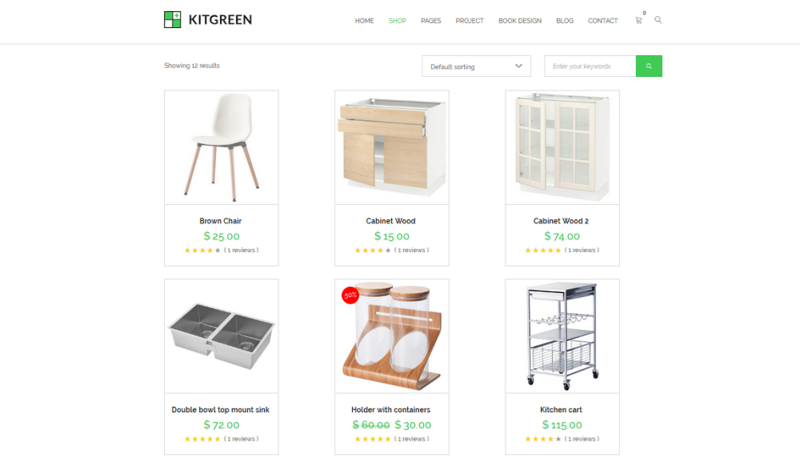 Luckily, KitGreen comes with multiple shop variations so you can showcase what you have for sale in the best way possible. 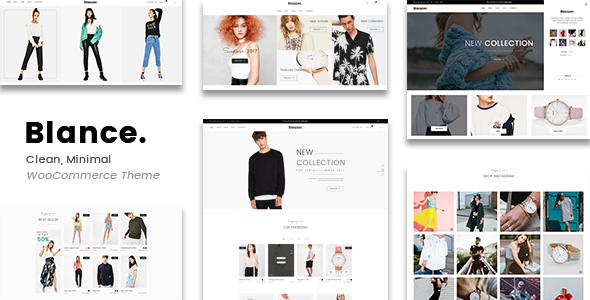 Display your online shop with a full sidebar, complete with thumbnail images, prices, a search bar, category options, a filtering system, best-selling options, and even exclusive discounts to be used on purchases right away. Include a product description, pricing, add to cart button, multiple images, category options and a search bar, and even past reviews for each product. 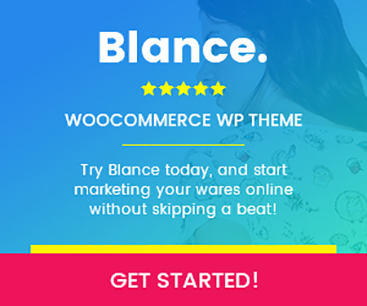 Plus, add links to related products to encourage customers to buy even more from you. 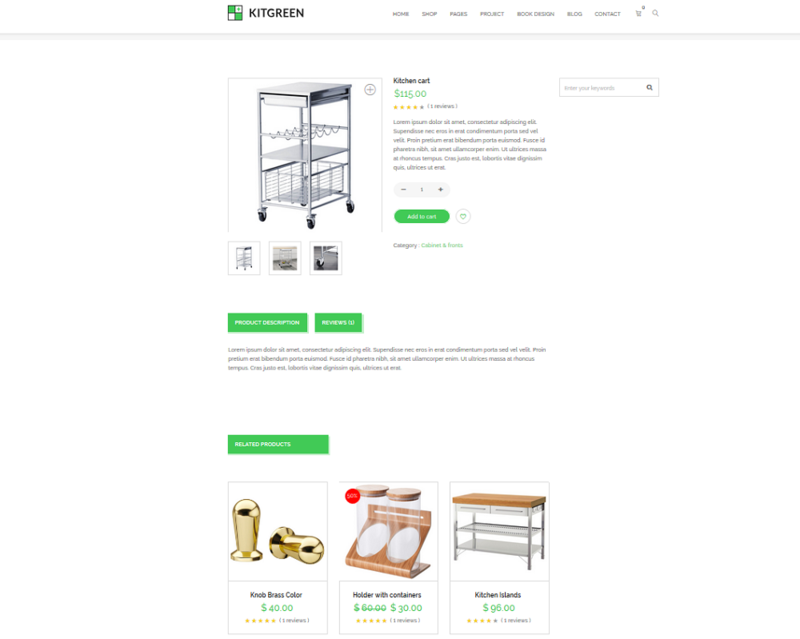 When it comes to sharing with interested customers what projects you have available, KitGreen breaks it down into two distinct categories: Project Layouts and Single Project Layouts. Project layouts are perfect if you provide customers with full kitchen designs that comprise of an entire room redo. You can show people what their many options are when it comes to builds and accessories, and show each room as a complete set so they get a bigger picture idea of what their new kitchen will look like once completed. For customers on a tighter budget, or those only needing a small section of their kitchen redone, there’s the single project layout section that shows exactly what can be done in a particular section of their room. For example, it might include color options, materials, appliances that can be added, and pricing. It will also showcase stunning images of what the work will look like when finished. And, it might even include links to exclusive coupons or sales you have going on. 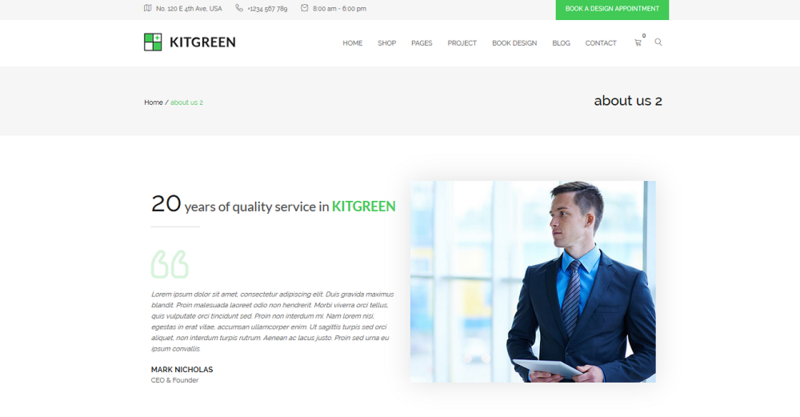 Lastly, KitGreen comes with more built-in page templates than most, which really helps you round out your website to include all the necessary information you need to give your current and future customers. 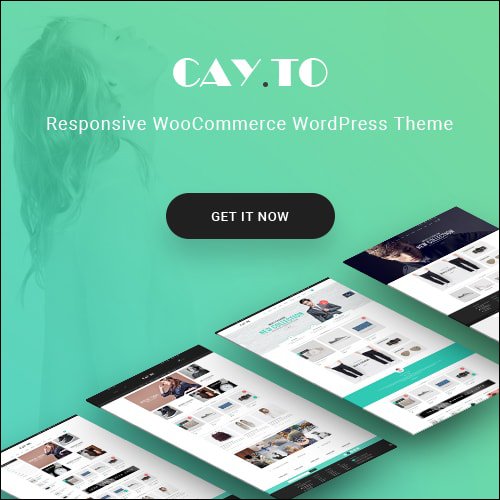 With all of the options available to you, there’s no way your customers will leave your site not knowing what you have to offer. Plus, they’ll know how to get in touch and what the cost of their dream kitchen will be. 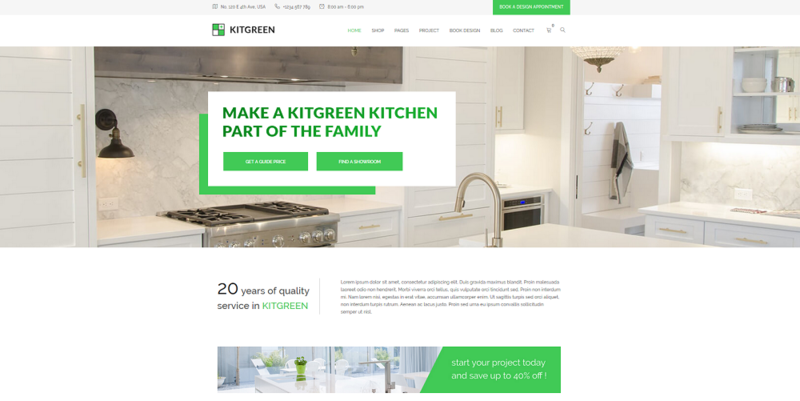 If you operate an interior design company that focuses on people’s kitchens, and want to expand your brand and customer reach by creating a stand out website, KitGreen comes highly recommended. 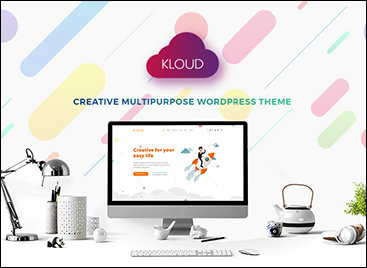 After all, it’s lightweight design screams kitchen beauty, it’s robust feature set makes creating a functional website a breeze, and marketing opportunities abound with things like social sharing icons, client testimonials, and built-in newsletter subscribe boxes. So, get started today and show off what you have to offer people looking to make their kitchens a little more modern, trendy, and useful. After all, people spend a ton of time in their kitchens on a daily basis. That means that for the right interior design company, they’ll also be willing to spend tons of money.